Developing the capability to 3D print various materials could enable the freeform generation of active electronics in unique functional, interwoven architectures. Achieving such a seamless integration of a diversity of materials with 3D printing is a significant challenge that requires overcoming discrepancies in material properties in addition to ensuring that all the materials are compatible with the process. 3D printing Quantum Dot LEDs: a myth or reality? To date, 3D printing was limited to the use of specific plastics, passive conductors, and some biological materials. Princeton University, however, have gone far beyond two-toned action figures with a research conducted back in 2014: they tried to fully 3D print world’s first LED light sources. To make the LEDs (Light-Emitting Diodes) from scratch, the researchers build a custom 3D printer for their research purposes. They finally managed to mix and match five different materials into the first fully 3D printed LED light sources. 3D printer for Quantum Dot LEDs – engineered by Princeton University. It took almost two years to develop the system. Picture by Kong et al, Nano Letters. The LEDs that the Princeton University team created are so called ‘Quantum Dot LEDs’. They are a lot like the LEDs that are built into cellphones and television screens, but less stronger in output today. The expectation is that printed Quantum Dot LEDs could be more energy efficient in the end. 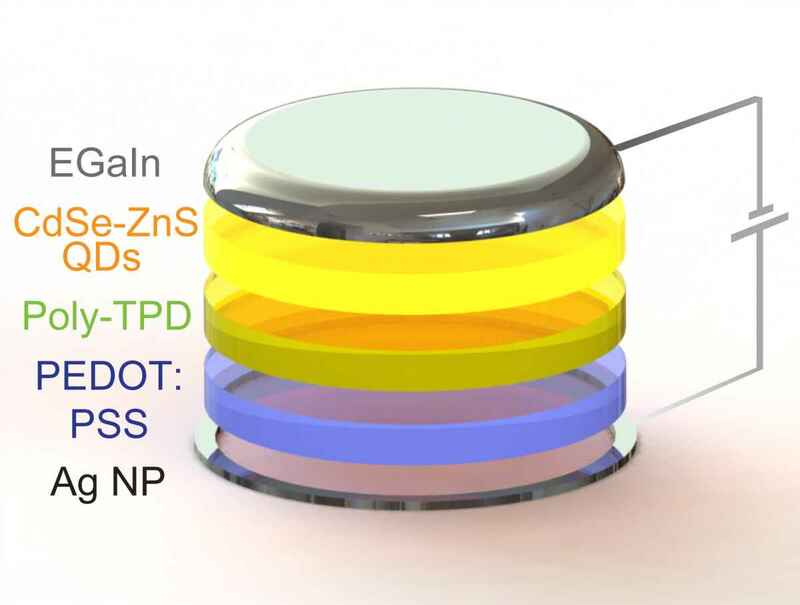 3D Printing Quantum Dot LEDs: diverse material classes can be 3D printed and seamlessly integrated into device components with active properties. The illustration depicts the layers of the LED device. Picture by Kong et al, Nano Letters. In the above picture, the seamless interweaving of five different materials is demonstrated. The build includes including emissive semiconducting inorganic nanoparticles, a kind of elastomeric matrix, organic polymers that are used as charge transport layers, solid and liquid metal leads, and finally an UV-adhesive transparent substrate. More specifically, layer 1, on the bottom, has a metal ring made of silver nanoparticles acting as a metal contact to the electrical circuit. On top of that are two polymer layers (layer 2+3) which together supply and shuttle electrical current to the next layer (layer 4), that contains the quantum dots. The quantum dots are made of cadmium selenide nanoparticles wrapped in a zinc sulfide shell. As the electrons bump into these quantum dots, they emit orange or green light. The light is topped off with a cathode layer (#5) made of eutectic gallium indium, through which the electrons flow out of the diode and emit the light. In addition to combining metals and polymers, some of the materials were hydrophilic (water-loving) while others were hydrophobic (water-repelling). Some of them were liquid materials while others were solids. The Princeton University researchers says it’s the largest number of distinct material classes that have been 3D printed into one object. As a proof of concept for demonstrating the integrated functionality of the various materials, quantum dot-based light-emitting diodes (aka QD-LEDs) were 3D printed. The properties of these quantum dots are that they emission pure and tunable colors. By further incorporating the 3D scanning of surface topologies, the ability to print devices onto curved surfaces was demonstrated. 3D printing a cube of encapsulated LEDs: every component including the electronics were 3D printed. Finally, it was shown that novel architectures, not easy to access using standard microfabrication technologies can be constructed by 3D printing a cube of encapsulated LEDs. In the cube, every component including the electronics were 3D printed. Overall, these results suggest that 3D printing is more versatile than has been demonstrated to date and is capable of integrating many distinct classes of uncommon 3D printing materials. 3D printed QD-LEDs: functional or decorative? The printed LEDs didn’t come close to beating the really functional LEDs as used in functional lighting applications out there. However, the Princeton Uni team expects that by controlling the thickness and uniformity of the quantum dots, and by experimenting with different ink formulations, the performance of the 3D printed LEDs could get better in the future. We’re curious to see what comes up next! You can find out more about the study of the Princeton University in the online ‘Nano Letters’ Journal. 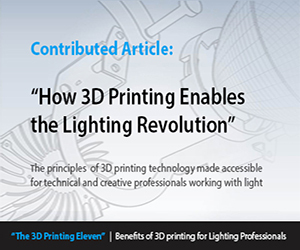 Subscribe for more 3DP Lighting News! 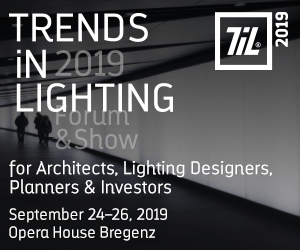 3DPrinting.Lighting - The Leading Authority in Additive Manufacturing News for the Lighting Industry and a dedicated resource for Professionals in the Field of Lighting Technology, Design and Application. Relio²: The Most Versatile Illuminator Ever!